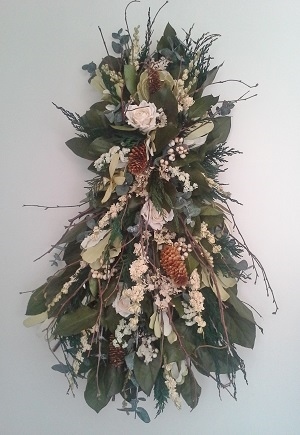 I love wreaths - I have more than I want to admit. The wreath I purchased from you recently is the loveliest I have ever seen. I am so glad I found you through Google. I will be ordering more in the future. Thank you for such a lovely wreath!